With The Ruined City adventure now released and already a success for us, we are proud to announce our next product set to be released! Coming this September, for no cost to you whatsoever, is The Sigil System, the backbone on which The Runed Age and all our future IPs will be based. We have taken the Sigil System out of the Runed Age and turned it into a universal system that you can use for absolutely any sort of tabletop RPG in any and every sort of genre. We have expanded upon the rules to include situations and contexts simply not found in the grand city of Middelburg and given you more tools to use in order to make your own homebrewed games feel as realistic and authentic as possible. The Sigil System will still feature all the main points found in the Runed Age, like the Wound Slots, Hit Locations, 20 Skills and immersive Character Generator, and we’ve simply added onto this mechanics that will make a good system even better, such as an expanded combat actions section, modifiers for different types of ranged weaponry and several distinct types of magic systems. Whether you are playing a game in the past, present or future, fantasy, scifi or anything in between, the Sigil System will be more than capable of handling it. And, of course, we can’t forget GLYPH, the Sigil System’s little brother. GLYPH follows the same basic structure and system as the Sigil System, but with all the fat trimmed off. Coming in at less than 40 pages, GLYPH is there for quick and easy games, for those times you just want to pick up and play, or just want to run a one-shot adventure. GLYPH uses only a single d20 and is meant to be as accessible as possible. With only 10 Skills and 1 dice, there is little to keep track off on paper, which means more time for roleplaying! And did we mention all this will be free? 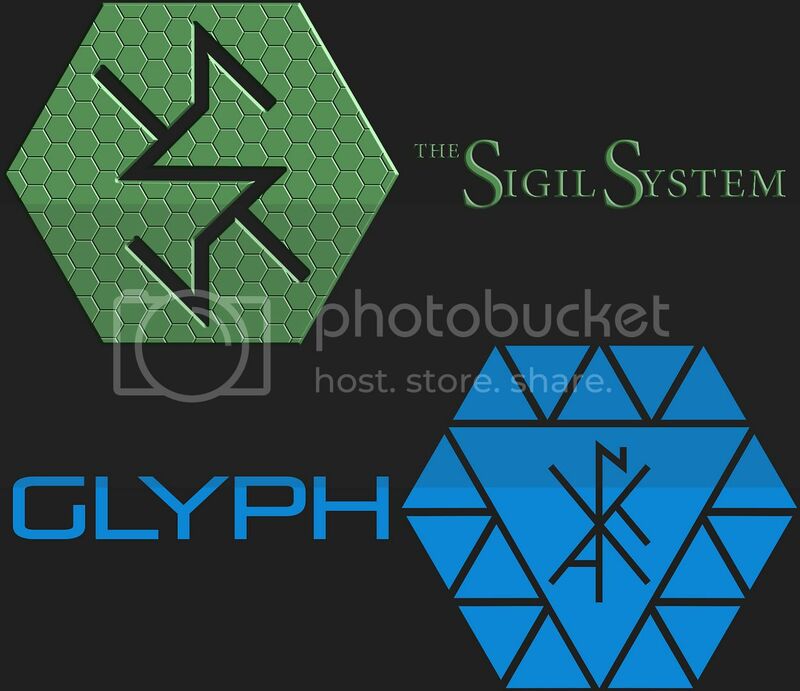 Both The Sigil System and GLYPH will be 100% free to you to use as you want. So keep your calendar open for mid-September and stay tuned! Previous Previous post: Playtesters Required!